The Price is Right Slots evokes the game show in every regard, right down to Rod Roddy yelling "Come on down!" to the players. This game has very high potential payouts and contains some of the classic game show events among its bonus offerings. The Price is Right Slots contains images that will be familiar to anyone who's watched the show and, given that the game show has been on longer than any other, that's likely to be just about everyone. There is the Showcase symbol, the Plinko symbol and the Wheel symbol, all of which unlock some of the game's special features. This game has a potentially very high payout, over 60,000 coins and, like the show on which it is based, allows players to possibly get rich while having a lot of fun. There is a progressive jackpot attached to this game, as well. There is no autoplay feature on The Price is Right Slots. There are some game-enhancing conveniences, however. Players may increase their bet by one coin by pressing a button. They may also increase their bet to the maximum—5 coins on each line—by pressing the button so-labeled. Cashing out is a button press away. There are nine lines on The Price as Right Slots and there are five reels in play. Players may bet on as many or as few lines as they choose but be aware that some of the payouts are dependent upon the reels stopping on certain lines. Line bets are made from the game's main interface. Open up the screen and the lines will light up as they're selected. They also light up to indicate a winning combination. The Price is Right is notable for its bonus games but there are large payouts for standard play, as well. Get five Showcase symbols on the 9th payline at maximum bet and win the progressive jackpot. This jackpot increases as the game progresses and resets once it's won. Get five of The Price is Right Symbols on the ninth line and win the game's biggest regular jackpot. This can be as high as $100,000 for dollar versions of the game! There are four bonus games built in to this slot machine. 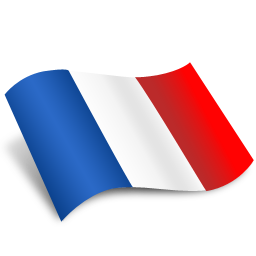 Each is opened by getting three or more of its corresponding symbol on an active payline. The games include Plinko, Cliffhanger, Showcase and the Dice Game. 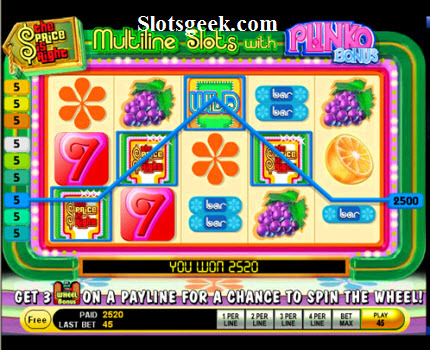 The Plinko game allows the player to choose a chip and to see if it lands in a winning slot. The odds are 50/50. Cliffhanger is based on the television game which featured the yodeling mountain climber ascending until he either fell off the mountain or was stopped by the player's correct guess. Showcase allows the player to choose from a right or left selection of prizes and to increase their winnings by revealing bonus symbols. The Dice Game allows players a similar experience to that which players on the live show enjoyed when playing the television version.